Samsung is rolling out a new firmware update to the Galaxy Watch LTE on Telstra in Australia and New Zealand. The latest update, R805FXXU1CRKA, weighs 38.63 MB and is mostly focused on bug fixes and improvements to enhance the user experience. According to the changelog, the new update improves Samsung Health experience, battery efficiency, and GPS connection and accuracy. Samsung doesn’t explain in detail what these improvements are, but going by the update size, it is safe to assume they are minor changes. The update also adds a dual-clock watch face and removes the ‘Use Gear without phone connection’ menu. As is common with most software updates, Samsung might roll out the latest firmware in stages. 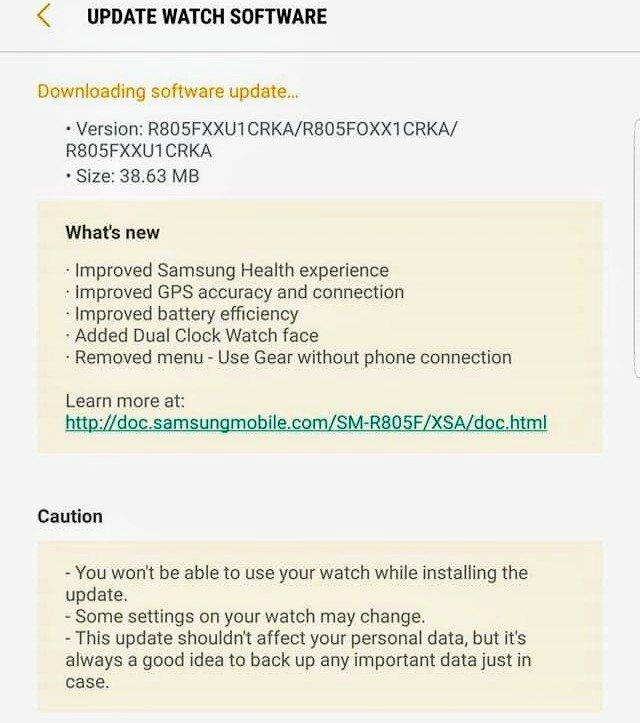 Galaxy Watch users can manually check for the update by launching the Galaxy Watch application and clicking on the Download updates manually option in About Watch under the Settings tab. The improvements mentioned in the changelog doesn’t sound specific to the Telstra network, and so may soon roll out to the Galaxy Watch LTE users in other regions and on other networks as well. 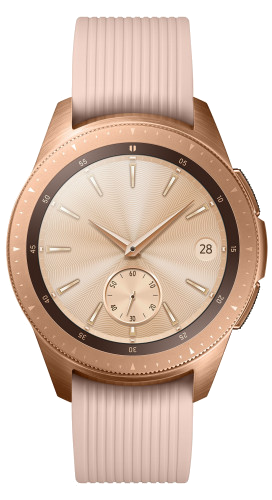 Samsung also recently pushed out an update to the Galaxy Watch LTE variant on T-Mobile and Verizon in the US. However, that update even smaller and carried a different changelog. Samsung has already released multiple firmware updates to the Galaxy Watch since its launch in August this year. All these updates were mostly bug fixes and minor changes similar to the current one. 38mb is actually quite a sizeable update as far as smartwatches go. Unless it’s an OS update, they’re usually only 10 or 11mb. So after this update I can’t use my Watch without phone ? No, it just removed the menu, not the capability, obviously. The settings are just moved. What about the bluetooth watch?,no update?